Civic engagement, including that by civil society organization (CSOs), in governance is the bedrock of democracy. An informed and active citizenry, particularly skilled and engaged CSOs, have the potential power to strengthen public policies, promote the interests of the people, and hold elected officials accountable. CSOs — often in collaboration with government and the international community — have supported public participation in government decision making and oversight, advocated successfully for transparency and accountability, and defended human rights. But what happens when governments turn their back on their democratic partners? Signs of regression in democratic practices have been widespread for several years, but its consolidation has accelerated in a disturbing manner. Trusted champions of open government are being replaced by regimes threatening to reverse years of progress in open data, vigorous citizen participation, and the promise of enhanced government accountability. We see governments once open to partnership with civil society groups now actively monitoring and undermining CSOs. 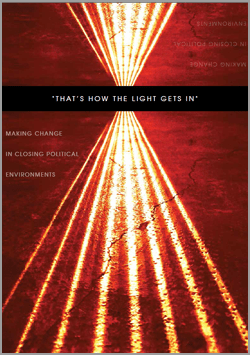 And, as this global trend toward closing civic spaces continues, many organizations are forced to reevaluate how they engage with government in order to retain their ability to defend the interests of the people. Following Orban’s party and allies winning a two-thirds majority in the 2010 elections, the new government adopted a new constitution with the express objective of weakening the state institutions meant to function as checks on the executive. The new constitution significantly curtailed the power of the constitutional court and reduced the number of ombudsmen protecting specific human rights. Orban’s government also removed senior judges and prosecutors, including the Supreme Court President, eventually replacing them with Orban’s own picks of young loyalists. The government then turned its focus to the media. In 2010-2011, Hungary adopted a series of laws threatening the free press, including a mandate for media outlets to register with the government-controlled national authority. Orban and his allies acquired national and regional newspapers, magazines, and television and radio channels, quickly converting them from critical, independent media channels to mouthpieces for the Hungarian government. Dissenters at the outlets were quickly dismissed and replaced. Kádár reported that it was clear from the moment the new government was elected that an attack on Hungarian civil society was imminent, after a prominent official declared a “war on NGOs” (nongovernmental organizations). Mounting a multifaceted and complex attack, the government pursued a campaign to undermine CSOs’ every move. Almost 100 organizations were examined by a multitude of government agencies, including the government control office, the tax authority, and the justice department. It was not surprising to those in the country that nothing untoward was found in the practices of any of the civil society groups. Several laws were passed mandating that foreign-funded CSOs register and provide detailed information about their funding, even though most of this information was already provided through various mediums. These mandates were often made under the guise of government prioritizing “transparency,” demonstrating how governments often adopt the rhetoric of transparency champions to justify restrictions and disclosure demands on civil society groups. Organizations were forced to indicate their status as “foreign-funded” on every publication. Using this language, the government repeatedly suggested to the public that CSOs are untrustworthy “foreign agents” that could threaten the interests of Hungary and Hungarian citizens. Groups that refused to register were levied with hefty fines, and many times threatened with lawsuits that could result in the organization’s disbandment. This campaign also resulted in a complete breakdown of meaningful cooperation between government and civil society organizations. Collaboration was eliminated in many forms, including the termination of cooperation agreements between agencies and groups, and the rejection of proposals for new projects and joint participation in conferences. CSOs have little recourse but to sue the government repeatedly in an effort to engage and effect change. 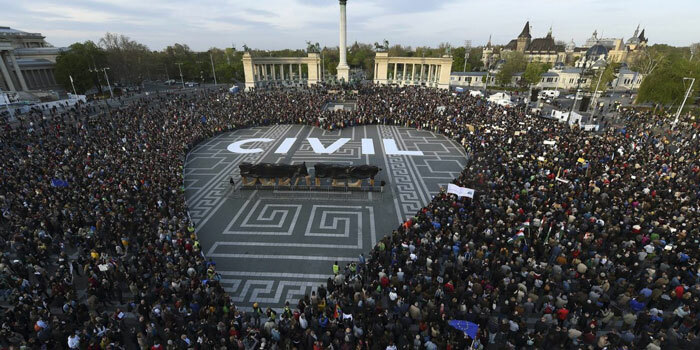 The Hungarian government has also used the media to push its agenda against civil society. The Hungarian Helsinki Committee alone faced six critical articles by major newspapers in one day. Many articles trafficked in outright lies, forcing groups to choose between fighting back with civil lawsuits and using their limited resources to do important work. 1- Partnership between CSOs and Supreme Audit Institutions (SAIs) can be a check on the executive and legislative branches. From my perspective, the above engagement strategies could not be applied to some of the countries in ASEAN due to those institutions has been influenced by the government. so, how can help the CSOs in some of the ASEAN countries to effectively engage with the government and hold them to be accountable to the tax payer. look forward to seeing the key influencing strategies which could be applied in the ASEAN context.